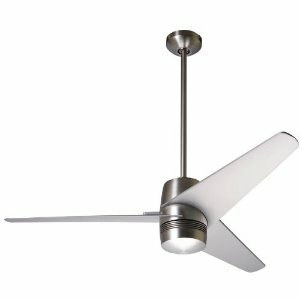 The Modern Fan Co specializes in sleek architectural design ceiling fans. Founded by designer Ron Rezek, Modern Fan Co has seen various incarnations since it's inception in 1986, including Beverly Hills Fan Co and LA Fan Co. Their cornerstone model, the Stratos, is still being produced along with many other designs that are still cutting edge. 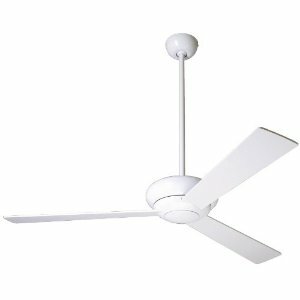 Modern Fan Co trademarks are their sleek, spherical motor designs with streamlined mid-body blades that mount without arms. Some fans include an integrated light kit, most are adaptable with halogen or fluorescent lights that fit into the sphere of the motor body. Yet others feature a "halo" uplight built into the upper portion of the motor. You can have direct light, ambient light, or in some cases, both. Most models are available in brushed aluminum or matte white finishes. Some offer copper, galvanized steel, nickel, or bronze finishes. In most cases the blade finish matches that of the motor, to further streamline the fan's appearance. Others are available with mahogany or maple blades. All models are available in both 42" and 52" sizes, the Cirrus and Altus are also available as 36" fans. The Cirrus, Altus, and Ball are available as huggers for low ceilings. Most models do not have pullchains and therefore require a special wall control. 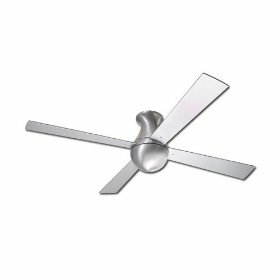 Modern Fan Co ceiling fans are an excellent design choice for modern decors, as their name implies. 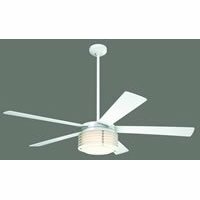 Brushed metal finishes, amber or opal glass, sleek 3 or 4 blade designs come together to form simplistic retro-modern fans that make a strong yet subtle statement.